Jane Grant is an artist. Her work explores ideas in art and science,specifically astrophysics, neuroscience and the history of scientific ideas. Her sonic artwork Ghost was premiered at ISEA Istanbul, this work explored the temporal, topological networks and pathways of the cortex in conjunction with brain hallucination or ‘neural ghosts.’ Jane sometimes works collaboratively creating award winning works such as TheFragmented Orchestra, a vast sonic artwork based on neuronal firing patterns in the brain, which won the PRSF Award for New Music and an HonoraryMention at Prix Ars and Plasticity which was premiered at the BFI, onedotzero festival and Google Campus, London.She recently created Fathom, a huge artwork that sonically immersed participants in an underwater sound environment by creating a sonic surface 6ft above the floor. Jane is currently working on a triptych ofartworks, Other Worlds, One HundredMillion Ghosts and How to DisappearCompletely, which are about longing, black holes and the multiverse. Jane writes about noise, the mutability of matter,desire and astrophysics and has had her work published in Leonardo Journal,LMJ, she is currently editing and writing the Oxford Handbook of Sound Art(2018). She recently exhibited a new artwork this excited surface a work about desire and the interaction of thesun on our atmosphere at BalanceUnbalance 2017. 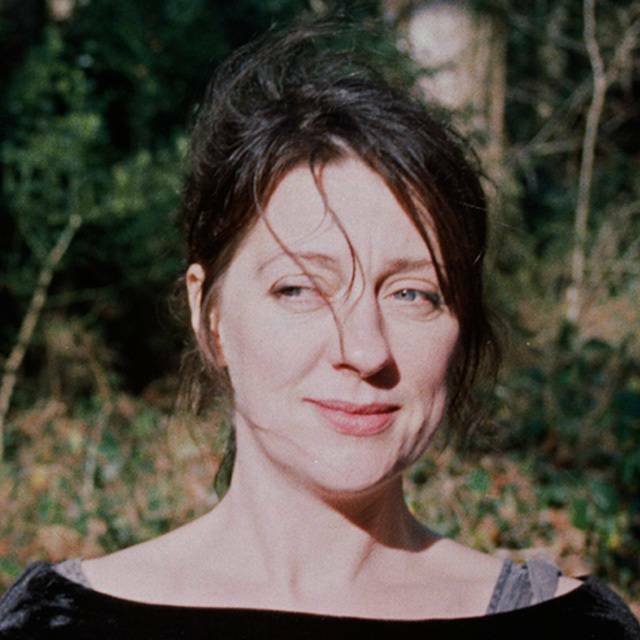 She is Associate Professor(Reader) in Digital Arts at Plymouth University where she is co-director of theresearch group Art and Sound and Principle Supervisor in the PlanetaryCollegium, CAiiA-Node. I am currently one of the PI’s on CogNovo, a 4.2 million Euro Marie Curie ITN (2013 – 2017). This single site interdisciplinary project employs 26 students to complete a fully funded PhD across many disciplines in Novelty, Cognition and Creativity. I am on the supervisory team of three of the CogNovo students and I am member of the Research Dissemination Committee. As part of the CogNovo project I work in a number of teams, managing collaborative relationships with staff and with students on secondment at several institutions internationally including the Max Planck Institute for Human Development in Berlin, Kin Design, London and (from May 2016), Google New York. In January 2016, I co-organised and managed the week long Social Creativity workshop for the 26 students. I am a Principal Supervisor of The Planetary Collegium, an International Research Platform which promotes the integration of Art, Science and Technology and Consciousness Research under the rubric of Technoetic Arts. It is based at Plymouth University and has nodes in Lucerne, Trento and Shanghai. Currently there are 43 Doctoral candidates enrolled in the Collegium and 53 Ph.D graduates since its original inception. Since 2010 I have worked with PhD students at sessions in Trondheim, Kefalonia, Shanghai, Cairo, Lisbon, Rio de Janeiro, Johannesburg and Prague. The Planetary Collegium was the winner of The World Universities Forum Award for Best Practice in Higher Education in 2011. I currently have 22 PhD students, one completion (two completions to come in April/May 2016 and a possible further three by October 2016). Their research ranges across gaming,locative media, dance and performativity, sound installation and trauma theory. One of my main aims in working with PhD students is to advance artist-engaged methodology and writing. I have been teaching in Higher Education for 20 years. At UWIC I worked in the sculpture department, where I taught studio practice and introduced a seminar programme where students presented work related to their studio work and thesis therefore forming a bridge between theory and practice.I have taught B&W and colour photography, digital film, 16 mm film, sculpture,installation, site-specific practice and sound. I have lead around 30 modules on BA Media Arts at Plymouth University and BA Visual Arts notably in developing the Collaborative Practice Module, one of the main strands for final year students. Here I introduced archiving processes, collaboration and creativity, interdisciplinarity and management of large-scale projects. I have a great deal of experience in curriculum development and was team leader for the development of a new undergraduate BA in Sonic Arts. Presently I work with undergraduate students on BA Media Arts on the Dissertation Module and give lectures in the Critical Studies, and Media Essential modules. Ellen K. Levy Image and Evidence: TheStudy of Attention through the Combined Lenses of Neuroscience and Art. Yan Wang Preston: Yangtze TheMother River - Photograph, Myth and Deep Mapping. James Charlton: Catch Bounce: Towards arelational ontology of the digital in art practice. Laura Beloff: The Hybronautand the Unwelt: Wearable Technology as Artisitic Strategy. Gabriela Galati: Duchamp meets Turing:Art, Modernism, Posthuman. Yacov Sharir: Beyond the Electronic Connection Thetechnologically Manufactured Cyber-Human and Its Physical Human Counterpart inPerformance: A Theory Related to Convergence Identities. Nevena Mrdjenovic: War on Architecture: Scenographic strategiesin tracing post-war domestic space in the former SFR Yugoslavia. Norbert Herber: Amergent Music: Behaviourand Becoming in Technoetic and Media Arts. Guto Nobrega: Transdisciplinary Arts inScience and Nature. Sana Murrani: UnstableTerritories of Representation: Architectural Experience and the Behaviour ofForms, Spaces and the Collective Dynamic Environment. Tine Melzer: Ludwig Wittgenstein andGertrude Stein: Meeting in Language. Pinar Oztop Group Creativity: AnInterpersonal Perspective. Katerina Karrousos: Theoria: The veneration of Iconsvia the Technoetic Process. Julieta Aguilera: Mindfulness and Embodiment in the Synthetic Experience. Stavros Didakis: In Search of the DomusNovus: Speculative Designs for the Computationally-Enhanced Environment. Claudia Jaques: Space-timeAesthetics in the Meta-environment: A Cybersemiotic Analysis. Massimiliano Viel: Perceiving in Time:Theories of Music Listening Discussed. How to Disappear Completely, site specific and gallery installation and book, Cairo, Egypt, 2018. One Hundred Million Ghosts,sound installation, Jane Grant, 2018 (tbc). The Oxford Handbook ofSound Art, Oxford University Press, New York, (edited byJane Grant, John Matthias, David Prior, introductory essay written by JaneGrant, John Matthias and David Prior). Single authored article, On Distinction and Formlessness, Jane Grant. Publication date: 2018. Inbetweeness: Between Minds, Bodies and Worlds, (edited by Sue Denham, JaneGrant, John Matthias, introductory essay by Sue Denham, Jane Grant, John Matthias). Single authored article: Navigating the Infrathin, (working title) Jane Grant, Routledge, (in negotiation) 2018.
this excited surface, site-specific sound installation, Plymouth Camera Obscura, Jane Grant, BalanceUnbalance 2017 and The Atlantic Project, 2018. Fathom, (site-specific sonic artwork) Jane Grant, John Matthias, Royal William Yard, Plymouth, The Atlantic Project, 2013. Longing and the Infinite Universe, longarticle, Jane Grant 2018. Leaving Earth (digital/CGI film) at Peninsula Arts Gallery (2010). Still (video installation) at Chapter, Cardiff, (2000). Memento Mori, (sculpture, photography, installation) at Spacex Gallery and ExeterMuseum and Art Gallery (1994). Aufstiegen, (sculpture/site specific) Helibronn, Germany, (1996). this excited surface, site-specific sound installation, Plymouth Camera Obscura, Jane Grant,BalanceUnbalance, (2017). Fathom, (site-specific sonic artwork) Jane Grant, John Matthias, Royal William Yard, Plymouth, commissioned by the River Tamar Project (2013). Fathom (documentary) Jane Grant and John Matthias (2015) ‘It Sounds like Art’ Kasa Gallery,Sabanci University, Istanbul Curated by Lanfranco Aceti, April, 2014. Plasticity, (participatory sonic artwork) Jane Grant, John Matthias, Kin and NickRyan, exhibited at the BFI as part of the onedotzero festival, (2011) GoogleCampus London (2012) and HWK, Institute for Advanced Study in Germany (2012). Moon as transmitter, Jane Grant, sound installation/performance at Musica Nova,Dundalk, Ireland (2012). Ghost, (site-specific sonic installation) Jane Grant, ISEA 2011, IstanbulBiennial (2011). Soft Moon, sound-work as part of Specimen exhibition curated by YukoShiraishi, Shigeru Yokota Gallery, Tokyo, Japan, May (2011). National Portrait Gallery, Watershed, Bristol,Millennium Stadium, Cardiff, Roundhouse, London, Gloucester Cathedral,Gloucester, Kiosk,West Pier, Brighton, Bronte Parsonage Museum, Yorkshire,Newlyn Art Gallery, Cornwall, Everton Football Club, Goodison Park, Liverpool, SonicArts Research Centre, Belfast, Barber Institute of Fine Arts, University ofBirmingham, Centre for Alternative Technology, Macyhnlleth, Wales, Centre forAlternative Technology, Macyhnlleth, Wales, Landscove C of E Primary School,Kielder Observatory, Black Fell, Northumberland, Institute of Psychiatry, KingsCollege, London, Verbal Arts Centre, Belfast, The Hidden Gardens, Glasgow,Stephen Lawrence Centre, London, Thainstone Centre, Inverurie, Scotland,Blueprint Studios, Manchester, Rochelle School, London, St Andrews Church,Fulham Fields, London, Roland Levinsky Building, University of Plymouth,(2008/2009). Running Piece, Jane Grant, at Multichannel at Artsway, (2008). Threshold, Jane Grant, Just World Order, Artsway, (2008). Untitled (Room Piece), Jane Grant, John Matthias, SANExpo, Sonic Arts Network, Plymouth,(2007). Dogs in Cars, Waiting, (16mm film) Jane Grant at Screen, selected exhibition of national andinternational artists and filmmakers Forest of Dean, (2000). Contiunuum, (video installation) Jane Grant, Green Room, Digital Summer,Manchester, (1998). Kissing the Dust,(sound, photography, 16mm film) Jane Grant, Ajamu, Michael Robertson,Walsall Museum and Arts Gallery, Huddersfield Museum and Art Gallery,Oldham Museum and Art Gallery (1997). PRSFoundation for Music, New Music Award, 2008, the most financiallysignificant award for music in the UK and likened to the Turner Prize forMusic. PrixArs Electronica 2009, Honorary Mention, Hybrid Arts Category. Wellcome Trust, Engaging People Award, 2009. Times Higher Education Award for Excellence and Innovation in the Arts ‘ highly commended’ for The Fragmented Orchestra, 2008. Sponsorship for The Fragmented Orchestra from: Kin, Bowers and Wilkins, FACT, Samson, Be Broadband, Fibox, MGB, Feonic. AHRC,Principle Investigator, Threshold - Merging the Human Voice with Neurological Time Patterns. Awarded Nov. 2006. British Council Travel Award, Aufsteigen. 1996. Arts Council Award for 16mm film Dogs in Cars, Waiting, 1997. Sponsorship,Sony, for Still, solo exhibition, 1999. The Anomaly: noise, ghosts and the multiverse, single authored paper for ISEA Hong Kong, 2016. Mind, Technoetic Arts: A Journal of Speculative Research,Volume 13 number 3, Intellect Books, 2016. Fathom:surfaces, symmetries, arrivals and departures, Jane Grant and John Matthias. Special Edition, Leonardo ElectronicJournal, Cloud and Molecular Aesthetics: The Third International Conference on Transdisciplinary Imaging at the Intersections of Art, Science and Culture, forthcoming, 2016. The Stone Sky: Dwelling and Habitation on Other Worlds, Jane Grant, Technoetic Arts: A Journal of Speculative Research,Volume 12 Issue 2-3, Dec. 2014. Fathom: A sonic surface bordering underwater and acoustic worlds, Jane Grant, John Matthias, Simon Honywill, Technoetic Arts: A Journal of Speculative Research, Volume, 2 Issue 1, March2014. Soft Moon: Exploring Matter and Mutability in Narratives and Histories of the Earth-Moon System, JaneGrant, Leonardo Journal Volume 46, Issue 5, 2013. Hearing Things: inside outness and sonic ghosts, Jane Grant, Technoetic Arts: A Journal of Speculative Research, Volume 9Issue 2-3, May 2012. Matter and mutability: presence and affect in other worlds, Jane Grant in Technoetic Arts: A Journal of Speculative Research, Volume10 Issue 2-3, Dec. 2012. Shifting Topographies, Sound and The Fragmented Orchestra, Jane Grant and John Matthias in Spatialities, The Geographies of Art and Architecture, edited by Judith Rugg and Craig Martin, Intellect Books, 2011. Between Oneand Zero: noise, ghosts and plasticity, Jane Grant - ISEA International Proceedings of the 19th InternationalSymposium of Electronic Art, ISEA2013, Sydney, Dec. 2013. Heliosphere –intensities, the ionosphere and the solar wind, Jane Grant, Technoetic Arts: A Journal of Speculative Research, Volume11 Issue 2, Sept. 2013. Plasticities and Ghosts:Relationships between Stimulus and Memory in Noisy Networks, Jane Grant, John Matthias, Leonardo Music Journal, Oct2013. Neural Ghostsand the Focus of Attention, Jane Grant,ISEA Istanbul, conference proceedings, https://isea2011.sabanciuniv.edu/paper/neural-ghosts-and-focus-attention, 2011. SoundNavigations: distances, proximities and neural fields – Jane Grant, John Matthias and Matt Wade. CR12,PRESENCE IN THE MINDFIELD: Art, Identity and the Technology of Transformation,Lisbon, November, 2011. Noise: networks, sensation,experience, Jane Grant, Making Reality Really Real, TEKS, Norway, November,2010. Leaving Earth, Jane Grant, catalogue accompanying exhibition, with essays from Professor Liz Wells, Professor Arthur I. Miller, Dr. Ian Crawford, Dr. Katherine Joy, May 2010, published by University of Plymouth Press, 2010. The Fragmented Orchestra, Dan Jones, Jane Grant, John Matthias, Tim Hodgson,Nick Ryan, Nicholas Outram, NIME, New Interfaces for Musical Expression, 2009. Translating Consciousness intoMusic, Jane Grant, John Matthias, NickRyan, in New Notes, Dec. 2008. Non-locality and longing: ghosts,doppelgangers and the practices of imagination, Jane Grant at Frontiers of Life: terrestrial and extra-terrestrialprospections, convened by Istvan Praet, Roehampton University, June 2015. NeuroArts, Jane Grant at Cognitive aspects of aesthetics inthe arts, convened by Jason Kass, London College of Fashion, June 2015. Jane Grant presentation atCurating the Immaterial: Histories, Theories and Practices of Sound Art, curated and convened by Lanfranco Aceti, Courtauld Institute of Art, May 2014. Other Worlds, Jane Grant, paper and panel discussion Jane Grantwith Rob La Frenais, Professor Chris Welch (International Space University Strasbourg) and Professor Phillip Gross, Jane Grant Cosmographies, July2014. Other Worlds, Jane Grant, at Expanded Narrative Symposium,convened by Emma Whittaker, Plymouth University, Nov. 2013. Ghost, presentation, Jane Grant at State of Mind: aConsciousness Expo organised by the Sackler Centre for ConsciousnessScience, June 2012. Musical Instruments for MobileSystems, convened by Atau Tanaka, CultureLab, Newcastle University, June 2012. The Fragmented Orchestra, Jane Grant and John Matthias, Aesthetics in a Time of Emergency: Beyond the Relational Aesthetic Paradigm, Plymouth University, June, 2010. Festival of Time, November 2009. The Fragmented Orchestra, Jane Grant and John Matthiasat Critical Spatial Practices, seminar, RIBA, London, June 2009. The Fragmented Orchestra, at Wellcome Trust Super Club, with John Matthias and Nick Ryan,March 2009. The Fragmented Orchestra, at the Voices Festival, with John Matthias, March 2009. Big Screen, presentation The Fragmented Orchestra, with John Matthias,Bristol, March 2009. Artists Breakfast with Daniel Glaser, David Toop and Robert Worby, FACT and FACT TV,December 2008. Radio 3 interview, Music Matters – Music and the Brain, special edition, 2008. Exploring Consciousness Symposium, lecture, University of Plymouth, October 2008. Sky Arts at the New Music Award (Documentary)Sky Arts 1 September 2010. The Guardian Guide (Preview) ’24 Fragments’February 21st 2009. Shock of the New - The Future of Music? It might be... The Fragmented Orchestra, Euan Ferguson, Observer,Feb. 2009. Fragmented Orchestra's pulsating electronic brain fires David Stubbs's synapses at Liverpool's FACT, David Stubbs, The Wire Issue 300February 2009. BBC Radio 4 Today Programme, Interview with Evan Davis, April 22nd 2008. Is this the future of Sound Art? Ned Beauman (Feature), Dazed and Confused, Dec 2008. Noises off, Alfred Hickling (Feature) The Guardian 19th December 2008. Liverpool ends year on a cultural high with The Fragmented Orchestra, Richard Morrison (Feature), The Times 13th December, 2008. The Times ‘top 5 things to do this Christmas’December 18th 2008. Putting the pieces together, (Feature) Pro Sound Europe, July 2008 SimonDuff THE news 22nd May 2008. BBC Radio Devon (Interview) Breakfast Show,April 23rd 2008. Mutability, celestial surfaces and sonic boundaries: New forms - Fathom, Plasticity and Soft Moons, Jane Grant, Consciousness Reframed: art and consciousness in the post-biological era, Shanghai, China, Nov. 2015. The Anomaly: on what it isnot to see - noise, ghosts and the multiverse(s),Jane Grant, at The Undivided Mind conference, Plymouth University, July 2015. The Stone Sky, dwelling andhabitation in other worlds, Jane Grant, at Fak’ugesi:Digital Africa Conference convened by Tegan Bristow, Wits University, SouthAfrica, 2014. We are the real-time experiment – TWENTY YEARS OF FACT – 1989 - 2009, entry, The Fragmented Orchestra, LiverpoolUniversity Press, 2009. The Sound of Music, interview and feature on AHRC grant, PODIUM, AHRC, Winter, 2008. Fathom: surfaces, symmetries,arrivals and departures, Jane Grantand John Matthias, Cloud and Molecular Aesthetics: The ThirdInternational Conference on Transdisciplinary Imaging at the Intersections ofArt, Science and Culture, Istanbul, 2014. Fathom, Jane Grant at CAC (Computer Art Conference and design for All) convened by Guto Nobrega, Federal University of Rio deJaneiro, Brazil, Sept. 2014. Heliosphere: Intensities,the ionosphere and the solar wind, Jane Grant, DI-EGYFEST 01(Digital Egypt), April, 2013. Between Signal and Noise: potency, potentiality and the uncertain moment, Jane Grant at Mutamorphosis II: Tribute to Uncertainty, CIANT:International centre for Art and new technologies, Prague, 2012. Sound navigations: distances, proximities and neural fields,Jane Grant at the Skilled Art conference, Lisbon, November, 2011. Matter and Mutability:presence and affect in other worlds, Jane Grant at Transcultural Tendencies, Transmedial Transactions, ConsciousnessReframed, Shanghai, China, August 2011. Neural Ghosts and the Focus of Attention, at the NeuroArts Panel, ISEA Istanbul,September 2011. Neural Ghosts and the Focusof Attention, at the NeuroArts conference, Universityof Plymouth, February 2011. Noise: networks, sensation,experience, Jane Grant, in Making Reality Really Real, TEKS,Trondheim, Norway, November 2010. Plymouth University,Principle Investigator CogNovo Marie Curie Doctoral Programme 2013 – on-going. The Undivided Mind (conference), Plymouth University, July 2015. NeuroArts, (conference), Plymouth University, February 2011. Sponsorship for Ghost : Bowers and Wilkins and Cycling '74, 2011. PRS Foundation for Music, New Music Award, 2008, the most financially significant award for music in the UK and likened to the Turner Prize for Music. Prix Ars Electronica 2009, Honorary Mention, Hybrid Arts Category. WellcomeTrust, Engaging People Award, 2009. Arts Council of England, 2008. University of Plymouth, 2008, and 2009. AHRC, Principle Investigator, Threshold - Merging the Human Voice with Neurological Time Patterns. Awarded Nov. 2006. British Council Travel Award for Aufsteigen. Arts Council Award for film Dogs in Cars, Waiting. Sponsorship, Sony, for Still, solo exhibition. University of Plymouth for Soft Moon, 2010. For the collaborative project developing the Neurogranular Sampler with John Matthias, Kin, Tim Hodgson, Eduardo Miranda, Proof of Concept Award, University of Plymouth.